sundry other odds and ends. Nylon and pvc material was used for the white lettering on the dodgers as this does not fray at the edges. [Click thumbnails for larger image] The dodgers themselves were made from burgundy-coloured acrylic which is resistant to ultra-violet light. The letter shapes were produced in Microsoft Word on the computer, blowing up each letter to fill a single page of A4 and printing it out as a pattern. 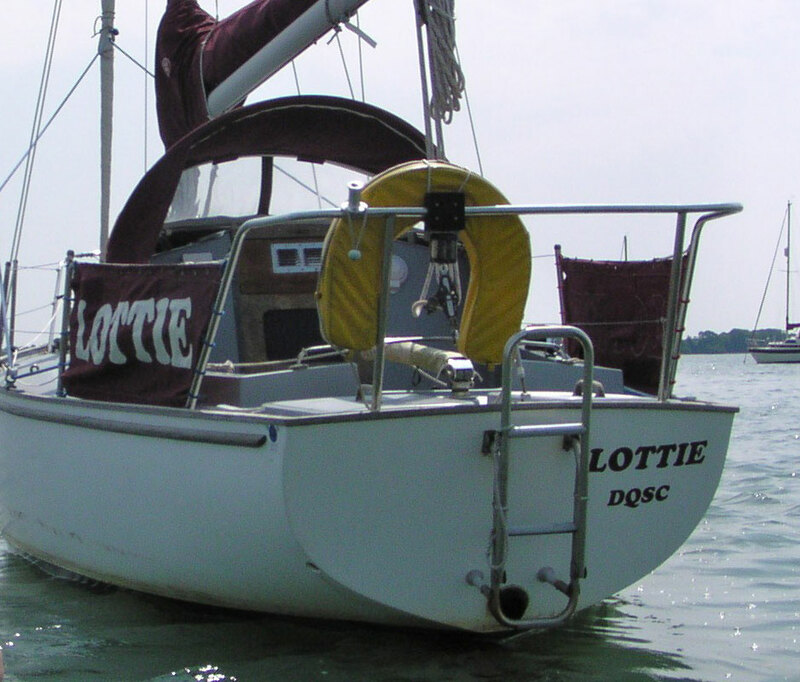 That way we were able to choose Lottie‘s typeface which is Cooper Black. The burgundy-coloured vinyl lettering on the white transom was ordered in the same typeface. The white nylon and pvc lettering was sewn onto the acrylic using a zigzag stitch on an ordinary domestic sewing machine. This needs to be done before attaching any pockets – otherwise you sew up the pockets when attaching the letters. The dodgers are attached to the guard rail along the top using nylon cable ties. 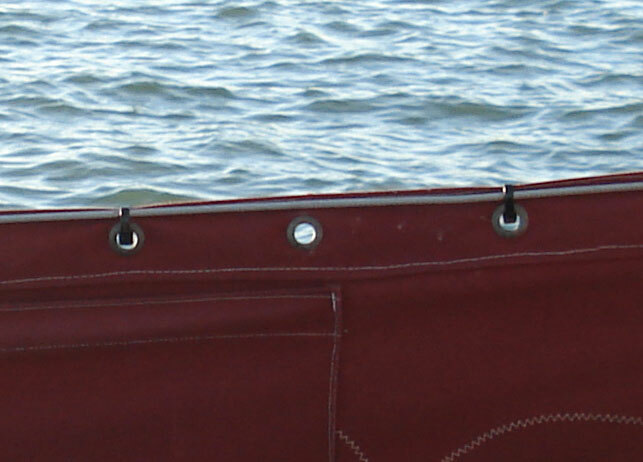 The eyelets were put in about 6 inches apart which is about twice as many as you need. Cord lacings hold the dodgers to the pushpit and the aftmost stanchion. Every six inches here is not too much. The guard rails are secured to the pushpit with lanyards. These allow them to be tensioned but also to be cleared away quickly with a knife, along with the dodgers, in an emergency. 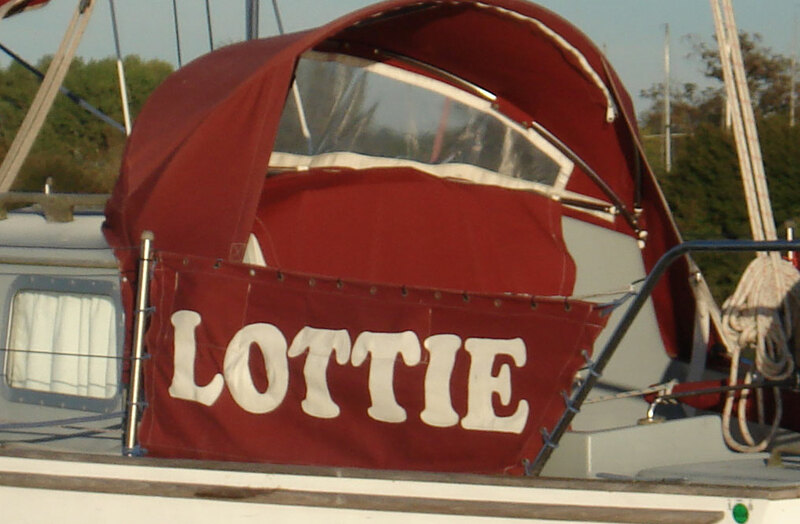 By printing “Lottie” in Cooper Black on a piece of card in letters about 40mm high, and then cutting the letters out , a stencil was produced. 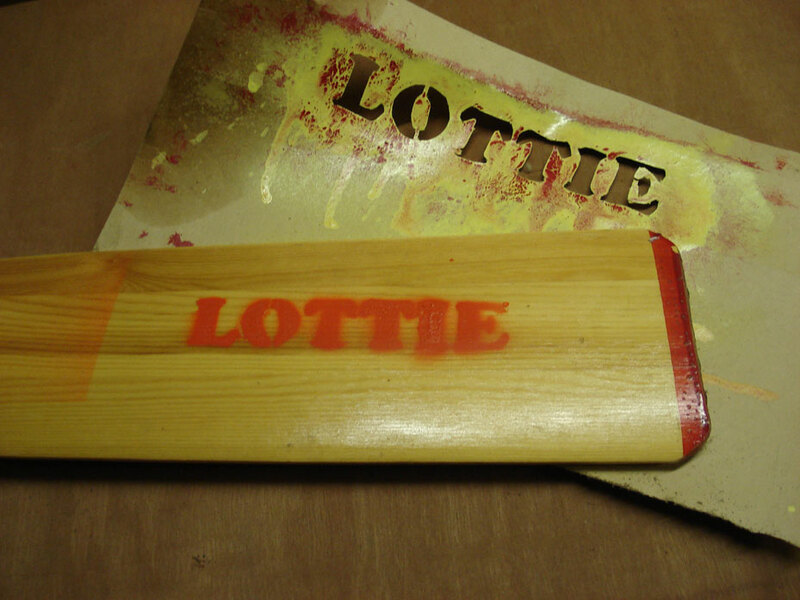 This is useful for quickly branding various items of equipment (like oars) with a can of spray paint. It makes them recognisably ours. 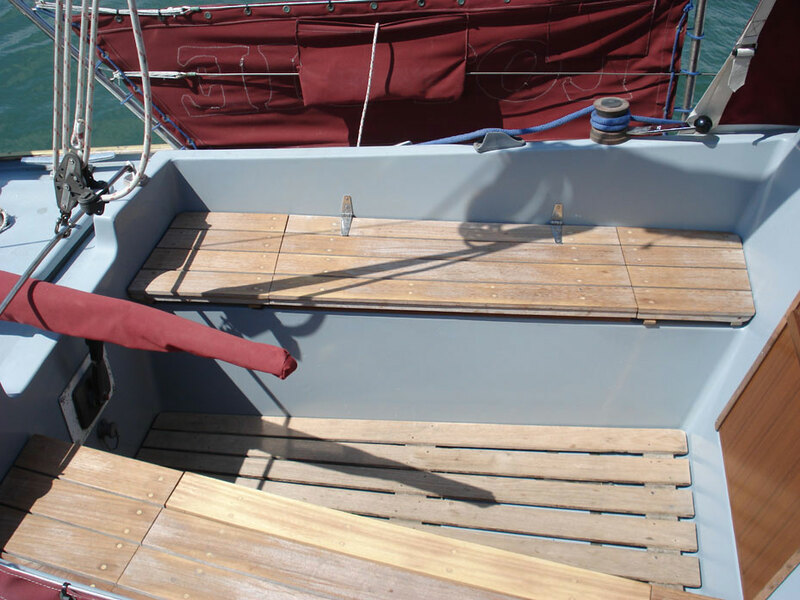 Offcuts of the acrylic fabric used for the dodgers were used to make a protective sock for the tiller.